We strongly believe that construction companies that disregard their employee’s safety in violation of the law should be held accountable for their actions. If you were involved any of the following types of workplace accidents, give our lawyers a call now at 800-893-9645 and ask for your free confidential consultation. New York State has enacted legislation to protect construction workers from injuries due to labor law violations. Construction sites are required protect their workers and to provide a safe working environment. As such, these construction companies have a duty to inspect their construction sites and comply with local, state, and federal laws. Construction companies that put their employees safety at risk should be held accountable to the law and those employees injured should be compensated for their injuries. 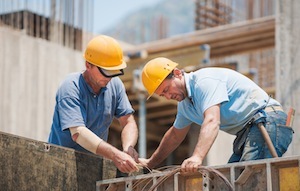 Furthermore, the right to compensation may extend to subcontractors and volunteers injured at a construction site. At Villanueva & Sanchala we have represented client throughout New York State in a myriad of civil matters. We have gained a reputation of being some of the best attorneys in the State. The main vehicle to bring forth a construction site cause of action lies within New York State Labor Law Section 200. The labor law has established a common law obligation to use reasonable care in the maintenance of a work site. Give us a call now to set up your free confidential consultation. We can be reached at 800-893-9645.